With two retirement systems, six tiers and 346 retirement plan combinations, it’s quite possible that the NYSLRS benefit information your coworker is talking about may not apply to you. 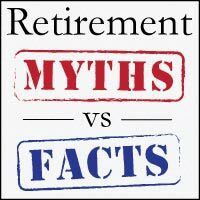 That’s why, periodically, we like to clear up some common misconceptions we hear from members and retirees. Here are our top five retirement myths from 2016. We can’t. The contributions you make and the benefits you enjoy are dictated by law — as passed by the Legislature and signed by the Governor. NYSLRS administers these programs. This is also true for retirement incentives; the decision to offer an incentive comes from the Legislature and the Governor. Individual employers, like your town or police department, may decide to offer their own incentives to employees, but these do not affect a member’s NYSLRS pension benefits. While the number of years used to calculate your FAS varies by tier and plan, they aren’t limited to your final years of employment. We look at your entire employment history while you were a member of NYSLRS to find the consecutive years when you earned the most, and those years are used in the calculation for your FAS. For more information, visit our website. Even when you leave public employment before you’re eligible to retire, you’re still a NYSLRS member. If you’re vested, you will be eligible for a pension benefit once you reach the retirement age specified by your plan. If you’re not vested, your contributions stay with NYSLRS and continue to earn 5 percent interest for seven years. If you leave public employment with less than 10 years of service, you can end your NYSLRS membership and request a refund of your retirement contributions. What else happens when you leave public employment? Check out your plan publication to learn more about your benefits. You can also visit our website for more information. You can make additional payments or pay your loan in full at any time, with no prepayment penalties. For the payoff balance on your loan, call our automated phone service (1-866-805-0990 or 518-474-7736 in the Albany, New York area and press 3 for members; then 1 or 2 for the Employees’ Retirement System or the Police and Fire Retirement System; and then 1 for loan services). For more information, visit Loans: Getting One and Paying it Back. Even when the Call Center phone lines are busy, our automated phone system can help members and retirees with a number of tasks 24 hours a day, seven days a week. Press 3 for Member Services, which includes current loan balance and application status information. Press 4 for Retiree/Beneficiary Services, which includes COLA eligibility and federal tax withholding information. Press 6 for Other Services, which includes requesting forms by fax. Another way to get benefit information is to visit the Contact Us page on our website, which has answers to many commonly asked questions. You can also email us using our secure email form. Avoid the myths — get the latest news about NYSLRS, your benefits and preparing for retirement with ENews, our monthly email newsletter. Sign up today, and recommend E-News to a friend. Content last revised January 30, 2017. This entry was posted in General News, Members, Retirees and tagged beneficiary, benefit information, benefits, Call center, Contributions, ERS, FAS, Final average salary, Information is the Key, Leaving Public Employment, Loans, members, New York State & Local Retirement System, NYSLRS, outstanding loans, PFRS, Preparing to Retire, retirement, Retirement Facts, Retirement Myths, retirement planning, Service credit, Vested on January 25, 2017 by NYSLRS. Your pension is among the many protections and benefits at stake if New York state voters approve a constitutional convention in 2017. Does a surviving spouse who is receiving a NYS pension continue to receive the pension if he or she remarries? Generally speaking, yes. If a surviving spouse is collecting a pension, the benefit will not be affected if they re-marry. If you have specific questions about your account, please email our customer service representatives using our secure email form, and one of our representatives can review your account to address your questions. Filling out the secure form allows us to safely contact you about your personal account information. Please allow five to seven business days for a response.